On 6/24/2015 Firefighter Chris McTear completed and graduated from Firefighter I at the Montgomery County Fire Academy. Several members of the fire company were present to congratulate Chris. Many thanks to John Major, and The Fire Store for being one of our 6th Annual Golf Outing sponsors! 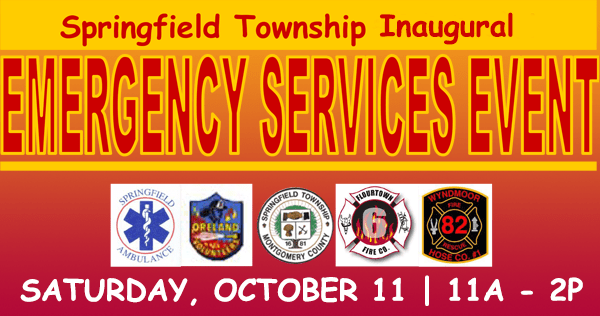 This year all the Emergency Services in Springfield Township are coming together to host a combined event to celebrate Fire Prevention Week. Come out in support of Fire Prevention Week to the Flourtown Shopping Center! Come out and talk to first responders and find out if you are doing everything you can to keep you and your family safe! Come enjoy live demonstrations, food, a smoke house for kids to practice their escape plan and hands on activities at this free event.